What's in a Rent Payment? It helps to know the ins and outs of home finance. When you're budgeting for rent, make sure you know what a monthly payment covers. Landlords in different areas include specific things in the price of rent. For example, in some cities, landlords are required to provide heat, hot water, and utilities. Elsewhere, you're required to pay for some or all of these services on top of the rent—as well as arrange for them. Hidden costs like these can tack on as much as a few hundred dollars a month to what you pay for housing, so make sure you're aware of them as you start to plan. If you've got a car, it's not covered under renter's insurance, even though it's one of your possessions. Since there's more risk and higher value involved, cars require their own separate insurance policies. In fact, car insurance isn't just a good idea—it's required by law. Most states allow you to take out a joint renter's insurance policy with one or more roommates or with an unmarried partner. Not all companies offer joint coverage, though, so shop around for something that meets your needs. When you're ready to sign, make sure that each person's name is included on the policy so that you're all guaranteed coverage. Having guests in your apartment is a gray area in terms of leases and legality. Most leases state the maximum time you can have a guest, usually no more than a few weeks. Past that, you're technically supposed to notify your landlord, and you can be evicted for failing to do so. 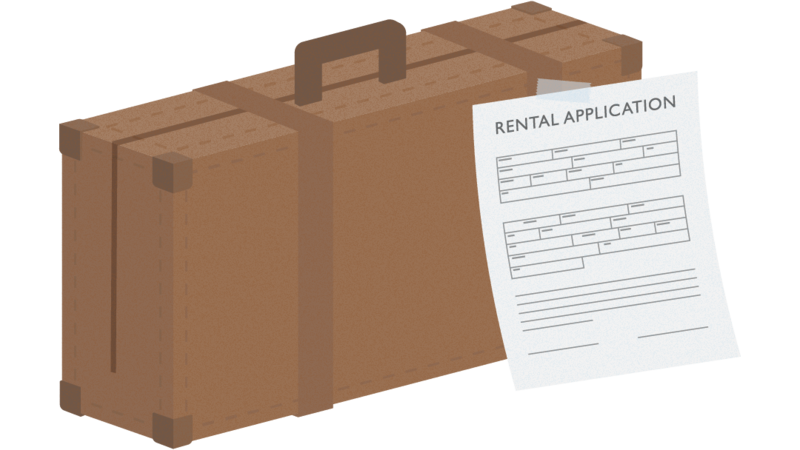 And if your guest stays for a really long time, he or she may have to fill out a rental application and be responsible for the terms of your lease. Of course, if your landlord is fairly lax, there's no reason why you can't have a guest for as long as you want. Just remember that having a long-term guest will probably cost you money in terms of utilities, wear and tear on the apartment, and groceries. It's easy to forget to include utilities when you're thinking about home finance costs. You may also be tempted to earn some extra money by making your place available through a short-term rental service like Airbnb, but most likely this is not ok with your landlord—or your neighbors. It may even be illegal in your city. Make sure you follow the rules on this one. These aren't the only methods out there, and there may be another that works better for you and your roommates, depending on your financial situations and how careful you want to be about keeping things even. All that really matters is that you find a system that works for everyone and stick to it. Perhaps just as important as teaching kids about the birds and the bees is teaching them the value of money. Whenever you’re online, you're sharing information, whether you mean to or not. It's up to you to protect your data, your privacy, and your identity. An emergency fund is a financial safety net that everybody should have for life's unforeseen challenges.